AT&T, the second-largest phone service provider in the US is now promising complete entertainment to its users. 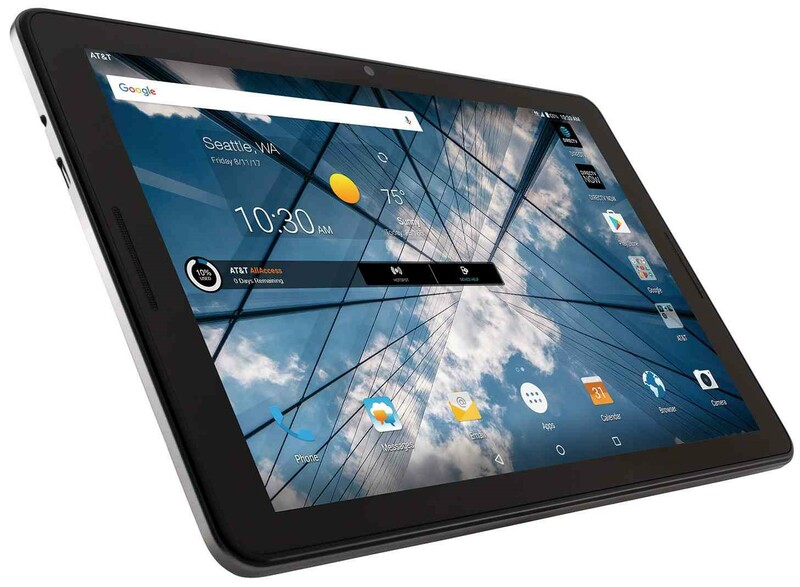 And this time, the company has done so with the announcement of its very first tablet – the AT&T Primetime. The announcement by AT&T says that the Primetime tablet is going to be launched on 25th August 2017, which is on Friday. Thus, as per the prepaid local phone service provider, customers are going to get access to non-stop entertainment, quite soon! The tablet and its related offers are available for both business and consumer customers of the giant phone service provider. AT&T Primetime is available at offers that can be had for $10 a month for 20 months along with the AT&T Installment Plan or customers can also get it by paying $29.99 with a contract of 2 years. The best feature of the tablet is considered to be its TV Mode that allows users to turn their tablet into a portable TV with video apps like DIRECTV. With such innovations being introduced by the phone service provider, it is quite evident that the telecom giant has moved ahead in the race with its usual competitors providing mobile and home phone services. The company has been very innovative in introducing new services and technologies that give the best customer experience. This is the reason why AT&T has still maintained its name in the US telecom market. Display: 10-inch full HD display for better experience while watching videos, movies, photos, etc. The all-new TV Mode feature to let the user’s access their favorite video apps like DIRECTV with just one swipe, and enjoy their own portable TV. Battery: The tablet comes with a battery of 9070 mAh that allows users to surf the internet, listen to music, watch videos, or surf the internet through Wi-Fi for about 11 hours. With Dual Bluetooth Audio Streams, the Primetime tablet becomes one of the best gadgets for traveling. This is because the tablet can play media through 2 Bluetooth headsets or speakers. 5 MP primary and secondary cameras. The tablet, introduced by the giant prepaid local phone service provider, offers the best experience even for the enterprise users. Thus, the Primetime tablet by AT&T can be your complete package to entertainment and is best suited for every kind of customer. With the launch of the new tablet, AT&T is surely going to expand its horizons. The launch of Primetime can be a game changer for the giant phone service provider with the feature of the TV Mode. For people looking for a high-quality tablet with some good features, the Primetime tablet can be one of the best picks. However, due to the lack of some features, many users might turn it down. Thus, it is still to be seen what response the tablet gets after the launch. The first announcement about its $85.4 billion acquisition of Time Warner was made last October by AT&T. Since then, the two companies have been under a great storm of controversies and talks and the merger has greatly been doubted by far. With President Trump’s statements against the merger and the opposition by Democrats, the merger seemed to be an impossible deal. However, with the recent oversight given by the CEO of the huge prepaid phone service provider, Randall Stephenson, things seem positive about the merger talks. The oversight given by the giant mobile and affordable telephone service provider tells us that the company is going to split its telecom and media assets after merging Time Warner Inc. Thus, AT&T is planning on running as two separate divisions after the merger. According to experts, the company will be split into two different units with the telecom services and DirectTV by AT&T in one unit and the assets from Time Warner media in another. Under the Time Warner media unit, the company is said to include channels like HBO, Warner Bros., CNN, etc. by Time Warner. 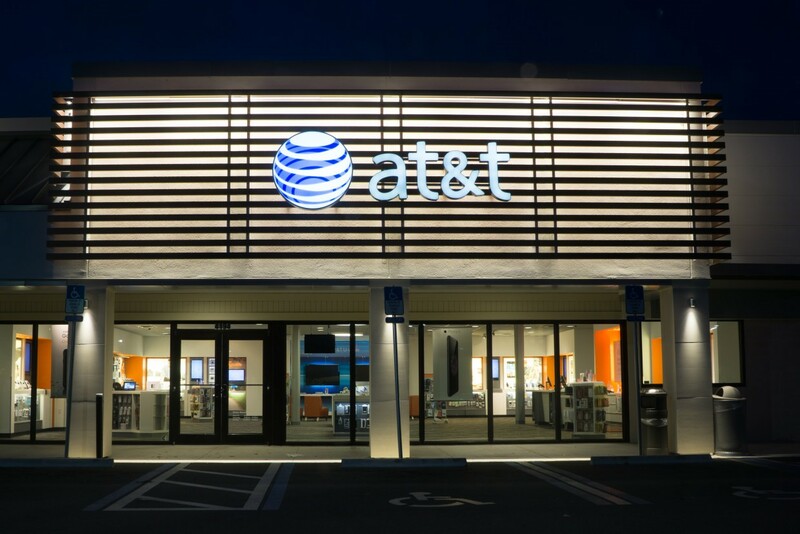 With this split, it has been announced that the chief strategy officer of AT&T, John Donovan will be promoted to the position of CEO of the telecommunications unit of the company. On the other hand, the entertainment chief of the giant prepaid phone service provider, John Stankey will head its media assets. It has been mentioned that Randall Stephenson will still be the CEO of the giant mobile and affordable telephone service provider. And besides this, no other leadership decisions have been made yet. This has been confirmed by AT&T spokesperson Larry Solomon. “No decisions on organizational structure or leadership have been finalized,” he told CNNMoney in an e-mail. “Randall and [Time Warner CEO] Jeff [Bewkes] are working through that. Randall will remain chairman and CEO of AT&T once the deal closes”, he added. This shows that Stephenson is going to head the giant prepaid phone service provider with two unit chiefs working under him. The merger talks have been on since last year and things have started to heat up lately. With the giant prepaid phone service provider still waiting to complete the Justice Department’s antitrust review, the big merger has been pending. 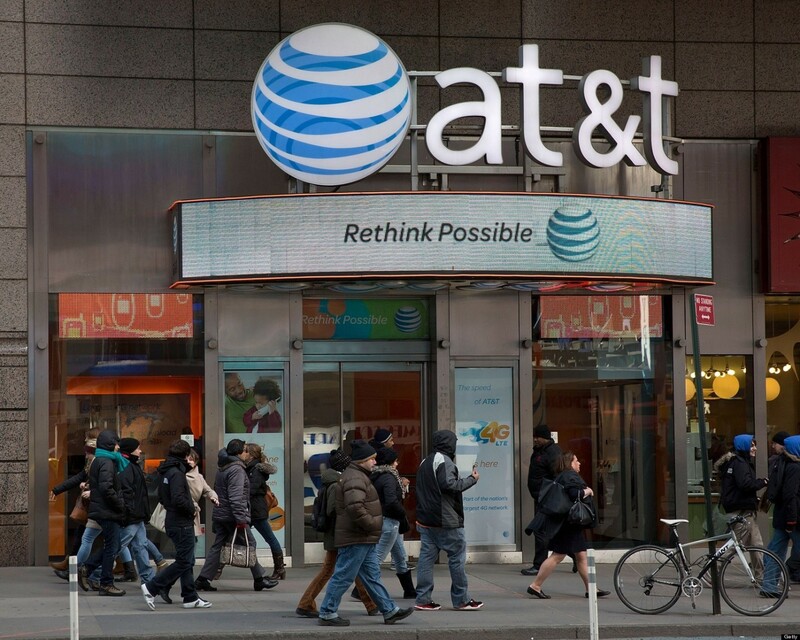 However, AT&T seems all set to play its cards as soon as the merger is finalized. To sum it all up, the AT&T and Time Warner merger is going to be a big deal as can be inferred from the rounds of criticism, hype, and controversies that the matter has been dragged through. The two huge companies are planning on changing the world of telecommunication and cable TV through this merger. 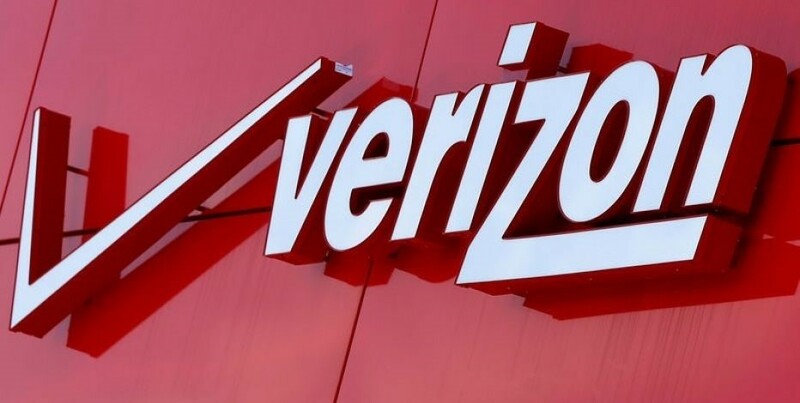 Though the merger is still pending to be finalized, we’ll have to wait and see how it turns out for the telecom market in the US and for the two companies involved. The telecommunication giant AT&T has been constantly making it to the news headlines with it’s announcements. And again, this huge mobile and residential phone service provider is in the news, but for different reasons. The subject of this news is the very new unlimited plan recently introduced by the company, for its GoPhone customers. Let’s have a closer look at the matter! 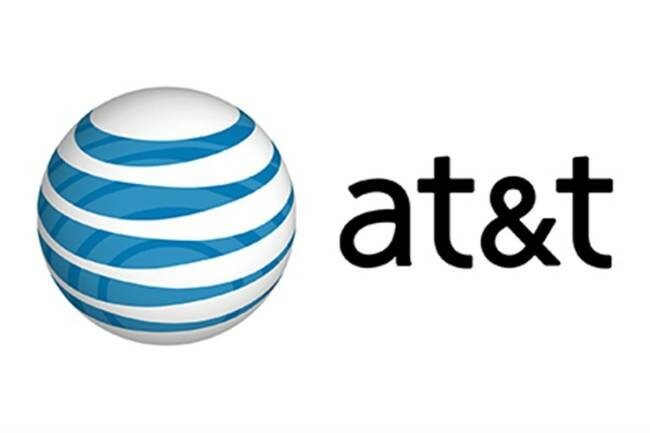 “We’re excited to offer a truly unlimited plan for our AT&T GoPhone customers,” said Bob Bickerstaff the vice president of AT&T wireless voice and prepaid products. “AT&T GoPhone customers now have even more flexibility to pick the plan that fits their needs as well as the perfect device from a selection of premium smartphones they really want”, he added. The so-called ‘truly unlimited’ plan introduced by AT&T is specially introduced for the company’s GoPhone customers. GoPhone is a contract-free postpaid and prepaid phone service provided by AT&T. The plan will set you back $65 per month and if you sign up using AutoPay, the plan can be purchased for $60 per month – a $5 savings. With this plan, GoPhone prepaid customers get unlimited calls, texting, and data. The maximum speed of the data is limited to just 3 Mbps, which is where the major problem starts. If you’re using the GoPhone prepaid phone service provided by AT&T and are planning on buying this new unlimited plan, think twice! After buying the plan, all that you’ll receive is a snail-paced internet with a bungled video quality. Along with the data speed being limited to 3 Mbps, the GoPhone prepaid users have also been prohibited from using the mobile hotspot. When it comes to watching videos, the data speed slows down even beyond the limit of 3 Mbps and the download speed is capped out to 1.5 Mbps. The plan also restricts the resolution of videos to just 480p, which is a great turn down for the users. AT&T customers normally enjoy a 4G data speed of up to 13 Mbps which makes the current plan’s speed limitations quite contradictory. AT&T has been excelling in the telecommunications industry for years, with its mobile and residential phone service. However, with the recent launch of this unlimited plan, the phone service provider has been surrounded by a number of questions and doubts by its GoPhone users. The AT&T GoPhone customers can opt for another data plan that offers 6GB data per month at $40. However, the customers that are not using AutoPay will have to pay $45/month for the same plan. This plan doesn’t restrict the data speed and the users can have easy access to HD videos with their prepaid phone service. The data speed is reduced to 128 kbps post the 6GB usage and there is no overage fee, post usage. A similar unlimited plan at $90/month is available for the postpaid GoPhone customers. This plan comes without any speed limitations of the data and allows around 10 GB of high-speed hotspot and tethering. Thus, allowing the postpaid users to access high-speed internet without many limitations. With the latest unlimited plan for prepaid and a better plan for the postpaid users, AT&T has somewhere shown an intention of inducing its customers to switch to the postpaid services. Though the repute of the phone service provider has wavered a little with the limitations of the ‘truly unlimited’ plan, customers still have a number of other options to choose from. 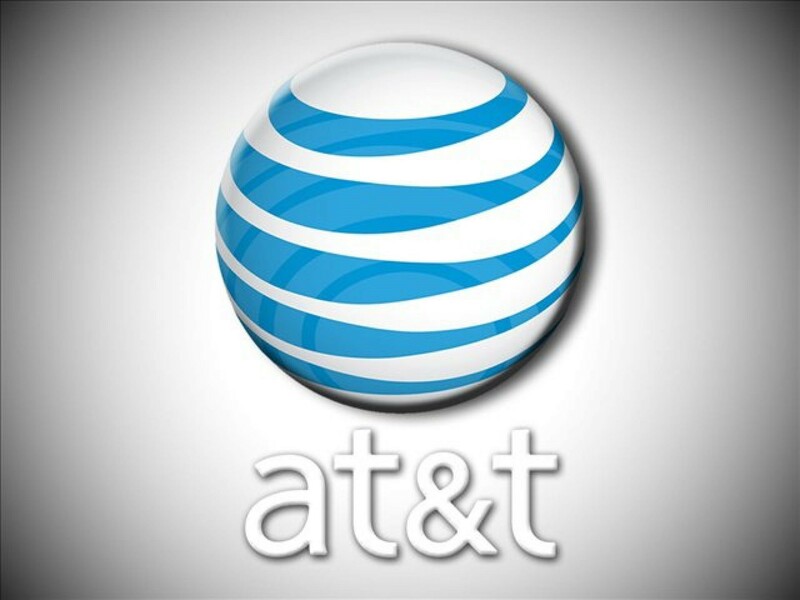 Now, vacations can go just a little less expensive for AT&T customers. They will certainly not get any major shock after returning to home and seeing their wireless bill. AT&T, a renowned phone service provider, has offered great relaxation to the pockets of their appreciated customers. Take advantage of this benefit, and save your hard earned money. AT&T Inc. is an American multinational telecommunications corporation, headquartered at Whitacre Tower in downtown Dallas, Texas. It is the third-largest corporation in Texas. 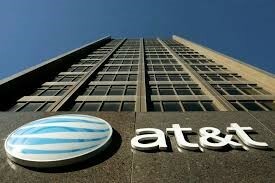 AT&T is the second largest mobile telephone services provider and the topmost fixed telephone services provider in US. You can even receive the benefits of its broadband subscription television services through DirecTV. Several statistics highlight that, as of 2017, AT&T is also the 18th-largest mobile telecom operator globally, with 135 million mobile customers. AT&T Inc. started working as Southwestern Bell Corporation, which is one of seven Regional Bell Operating Companies (RBOCs) formed in 1983 in the divestiture of the American Telephone and Telegraph Company. Southwestern Bell changed its name to SBC Communications Inc. in 1995. AT&T International Day Pass allows users to talk, text, and surf the Web in over 100 countries. But, instead of being charged per minute, message, or megabyte, customers pay just $10 per day per device for each complete 24 hours. “Traveling has its own challenges,” David Christopher, AT&T, the mobile and home telephone service provider’s chief marketing officer, said in a statement. “It’s great being able to use the domestic plan you’re familiar with while abroad.” It implies more opportunities to upload filtered photos, translate street signs, video chat, and navigate transportation networks, and less time stressing over exactly what additional charges you are going to be paying. You just have to add your smartphone or tablet to the plan to access data in diverse destinations, including Europe, Asia, and the Caribbean. Also, get unlimited calls to the USA, and other International Day Pass countries. Plus, you can enjoy the benefits of unlimited texts anywhere in the world without paying anything extra. AT&T is a well-known phone service provider, having a myriad of attractive phone plans. So, if you are planning a trans-Atlantic trip, choose an unlocked smartphone or international SIM card instead. AT&T, mobile and home telephone service provider, reserves the right to withdraw access to the new feature if voice, text, or data usage reaches above 50 percent of the consumers’ total use for two consecutive months. The carrier in August extended its worldwide roaming coverage to take in Cuba, becoming the last main US wireless provider to deliver service on the island. AT&T has maintained a good reputation by delivering the best services to its customers. These times do not seem favor AT&T low income phone service subscribers. They are receiving a financial blow from AT&T. The MPSC (Missouri Public Service Commission) has allowed AT&T to cancel discounts given to poor and disabled customers on lifeline phone services. AT&T filed its response in this regard to the Missouri Public Service Commission and stated a reason for this decision. According to the company, no more than 6900 low income phone service subscribers are receiving discounted life line phone services. The number of such users has come down by almost 85% since 2008. It appears as if low income phone service subscribers are also switching to wireless phone services. They no longer seem to be interested in discounted lifeline phone services on their wire-line. The Centers for Disease Control and Prevention noticed more than 59% of cheap home phone service subscribers reside in wireless only households. CDCP had confirmed the fact in 2015. This is possibly why AT&T seems to have made this decision. The office of Public Counsel responsible for taking care of the public’s interest argued against this decision by AT&T before the Public Service Commission. In accordance with the Acting Public Counsel, Mr. James Owen, “We heard from people who still use it and were asking us to stop” it. This is true. He expressed it openly and said that they may find using a cellphone difficult or confusing. This can make life difficult for them to get connected with their near and dear ones or emergency services as cellular phone services in some rural areas can be problematic. AT&T did everything right from the factual point of view and used the law accordingly. The company said that the discounts on lifeline phone services are being provided by some wireless phone service providers throughout its area. Therefore, anyone losing the lifeline discount on their AT&T home phone can get a Lifeline discount for cellular phone services. According to the federal rules, any low income phone service provider can drop its own lifeline service if some other carrier is providing it to users. This left the Public Service Commission with no choice but to rule the argument in the favor of AT&T and allow the service provider to cancel the discount on lifeline phone service to cheap home phone service users. It is a tough blow to the poor families using discounted landline services of AT&T in rural areas. Hopefully, it does not make their life difficult and they find it easy to switch to wireless services and get the same kind of discount. It will be too early to predict the impact of this service on poor families residing in rural areas. Therefore, only the time will tell after the company stops providing the discount on lifeline services in July 2017. There is a good news for AT&T South Carolina Phone Service Subscribers. The company has recently launched ultra-fast internet services in some parts of the Charleston area. The one Gigabyte connection is available for Charleston area houses, apartments and a number of locations known for small businesses on a 100% fiber network. AT&T’s plans to expand access to super fast internet to a number of locations in Goose Creek and North Charleston are in progress. The company has selected the Charleston area from one of its selected 44 metros across the USA. AT&T’s super fast internet service is currently available for its customers in all of these 44 nationwide metros. The number of customers interacting with their connections through increasingly data intensive ways is going up by each day, says Mr. John Mitchell, Regional Director of External Affairs at AT&T’s South Carolina office. AT&T’s South Carolina phone service users are beginning to stream content directly from the comfort of their devices. They are enjoying interactions with their personal and professional connections using live videos. Taking this into account, the company has chosen the Charleston Area for its super fast internet service. We are super excited at AT&T’s decision to expand its ultra-fast internet speed service to the Charleston area. This is very good news for the local business community of Charleston, said Mr. John Tecklenburg, Mayor of Charleston. He further added that the expansion of AT&T’s ultra-fast internet services in Charleston will be a solid platform for our local businesses to seek the much needed ultra-modern technology for success in 21st century economy. 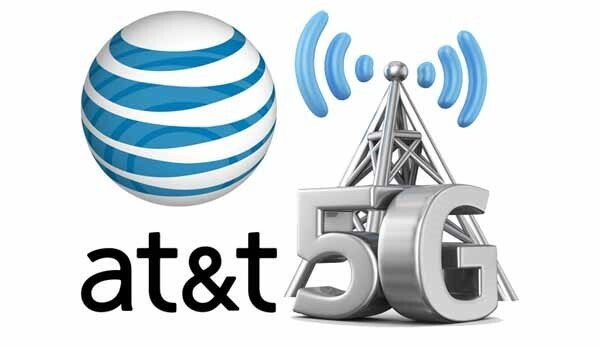 Expansion of AT&T’s super fast internet service will definitely ensure a significant increase in the number of economic opportunities for the growth of our small local businesses and home phone service users in South Carolina, said Linda Page, The Mayor of Mt. Pleasant. More importantly, this decision taken by the company will play a huge role in order to ensure the delivery of high speed internet services in rural areas across South Carolina. She further added that the use of the latest technology will help drive a lot of technical innovation and Job creation on every front. This seems to be one of the best technical initiatives taken by the company for ensuring ultra-fast internet services for home phone service subscribers in the South Carolina, Charleston area. All the internet customers on 100% fiber will have full access to the latest Wi-Fi technology. This will help them relish faster Wi-Fi speed as well as broad coverage of everything from the comfort of their home, says AT&T. All of the Charleston Area administrative big-wigs have welcomed this decision of AT&T wholeheartedly. The service has been launched by the company in the Charleston area, South Carolina. Now it will be very interesting to see which way the expansion progresses.